Apps4Review.com | THE TRACKER BY I4U NEWS- MADE FOR YOU! 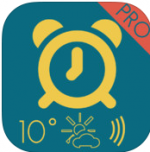 THE TRACKER BY I4U NEWS- MADE FOR YOU! Had our ancestors ever thought that they could sell and buy products without meeting the customer personally; that there would be an imaginary shop somewhere where anyone can go and select the products and order from home; that get delivered at their doorstep and can be returned if they don’t like it? Who would have believed it? All these things were like a dream! But, now take a look at the present world that we live in today! Nobody wants to go to a store to buy something. Most of the population is fond of online shopping. Whether it’s a grocery item; clothes; kitchen tools; mobile recharge; booking train, bus and airline tickets; etc. ; almost everything is available online. So things have changed radically. We are so dependent on online shopping that if we don’t find an item that we’re looking for, we get frustrated and look always when it’s available or not. But each and every time you can afford it to navigate from one store to another. This will make you totally insane! Yes, it’s the reality. However, if you’re looking for some option that will notify you about the hard to find items in the stock at an online store then I’ve something for you! It’s called “The Tracker by I4U News”. 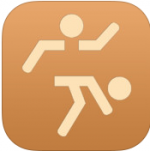 The Tracker by I4U News has been developed by I4U LLC. The app requires iOS 10.3 or any later version and it’s compatible with iPhone, iPod touch and iPad. The app has been developed for the customers who usually buy online products and wants to get notified about hard to find items at the online stores. 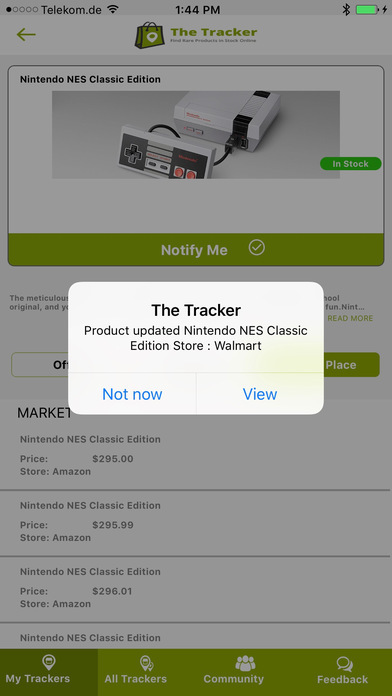 This app is basically an online inventory tracking app which is offering notifications on a curated list of hard to find items. 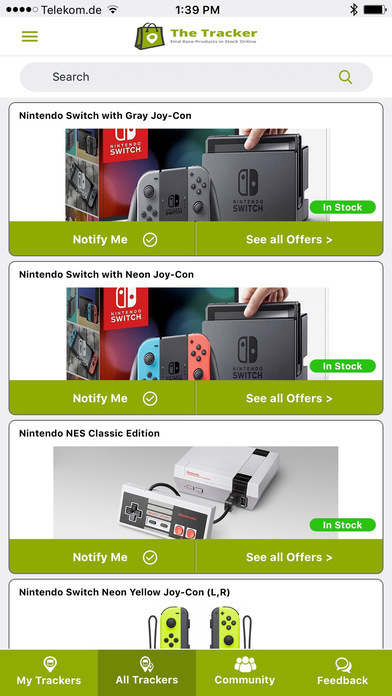 After launching the app on your device, you need to enable notifications and select from a list of products that you like to be notified when it’s in stock or available for pre-order at any of the supported online shops by tapping the ‘notify me’ button. 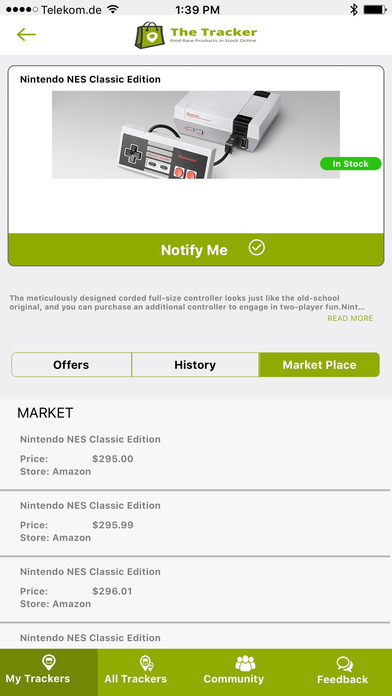 You can find products to track in categories including Nintendo Switch, SNES Classic, Video Game Hardware, Toys, consumer electronics and Xbox One X. Now, you can relax after setting the products and then forget. When a product is detected in the stock from your list, then you’ll receive a notification on your Smartphone. So you’re just a tap away from purchasing the product you want at the online shop offering the product. The app is also available in the web version of the Tracker so you can easily browse the products on your desktop also. This app features also price drop notifications means when some items drop in price it will notify you. There are several popular TVs in the consumer electronics category that you can subscribe to. Overall, the app is the fastest online inventory tracker and this latest version of the app has fixed and improved the load time of products. The app is easy to use with user-friendly interface. 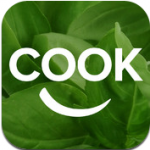 It’s a great app for online customers and for them buying hard to find products becomes easy and stress-free. Moreover, you can’t waste time on searching for a product again and again as timing is everything. Nothing is faster than a smartphone notification. So go for it now! 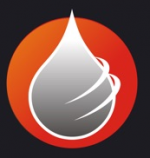 Pros: free online inventory tracking app; fast; saves time; display notifications when the item is in stock; easy to use; one-tap application; stress-free app.